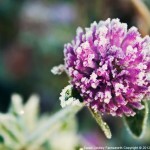 The early morning frost on the delicate petals of a small purple clover flower, appears beautiful. The sunlight streams through the forest trees glimmering ever so slightly on the crystals of ice that fiercely embrace the outside of the little plant. 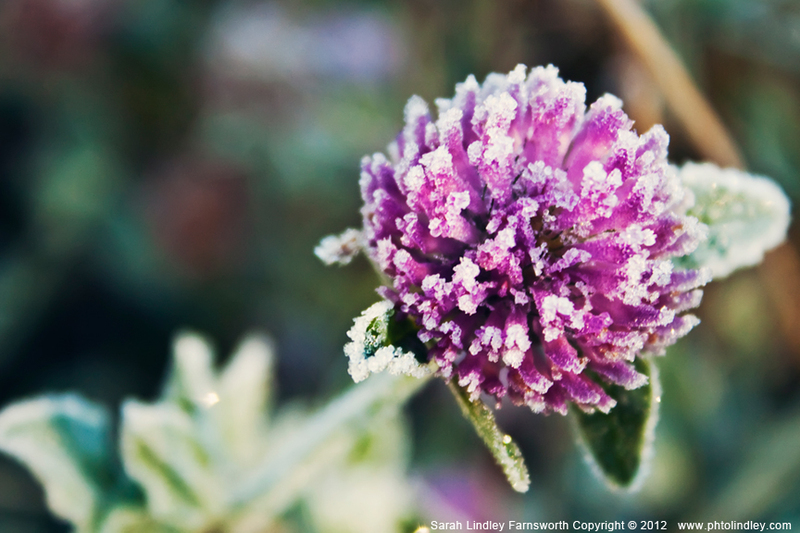 The tiny flower, bathed in frost, looks absolutely stunning, and yet, it is dying. In a day or so, the cold of that morning will have proven it’s power, and the tiny flower will be only a memory, replaced by a brown stubble, a mere shell of its former beauty. The truth is, death is a part of this natural world, but something about it seems so unnatural, so ugly. Most people don’t like to think or talk about death, others spend countless hours worrying and fretting about it, but that has never changed the fact that we will all die. Will our death be beautiful? Will light glimmer through the joy, the love, and the hope we left behind in the lives of the people we have touched? When I die, when finally God calls my head down to rest, I want it to be beautiful. I want the light He placed in my heart to shimmer through a thousand tiny prisms reflecting His Glory. The only way to do that, is to live a beautiful life. Join me. Great photo, Sarah! And great message too. You’re right: We don’t like talking about death, but it is a certainty. I hope that I can say at the end of my days that I’ve lived a beautiful life. Thank you Miss Daphne. 🙂 So far so good, right! Have a wonderful day.